French President Nicholas Sarkozy regularly jogs and cycles, though his failure to regularly publish his medical updates has prompted questions about the state of his health. PARIS – French President Nicolas Sarkozy was recovering in the hospital Monday while doctors watched his heart function, a day after he collapsed while jogging in hot weather, his office said. Military doctors quickly performed a battery of tests on the 54-year-old president, who is known for his sportiness and activity. 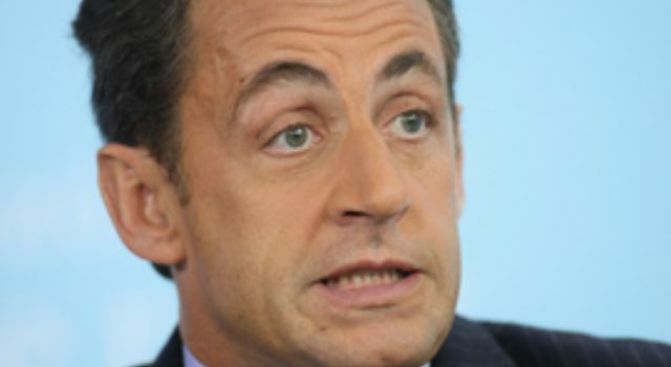 The presidential Elysee Palace said Sarkozy's test results were normal but that doctors would keep him overnight under cardiological observation. Patrick Devedjian, France's minister for economic recovery and a close friend of Sarkozy, said the French leader would be discharged from the Val de Grace military hospital on Monday. "He's leaving (the hospital) today. That proves that he is doing well," Devedjian told RTL radio Monday. "We get the feeling that it's a little incident that could happen to anyone at some point in their life, above all when they are in tiring periods that can happen ... to anyone who works a lot." French Sports Minister Rama Yade said she was alerted soon after the incident and was "told right away that it was minor and that it was not serious." "There are some normal exams that are being done," she told France-2 television on Monday, adding "we are reassured to know that he's well and will resume his activities." On Monday, however, Sarkozy will be replaced by Finance Minister Christine Lagarde at a meeting with representatives of French banks, according to his agenda. French media reported that a scheduled trip Tuesday to Mont Saint Michel, a Gothic abbey perched on a rocky outcrop off the coast of Normandy, will be scrapped, though the trip still appeared on Sarkozy's online agenda on Monday. After his collapse Sunday, Sarkozy was rushed by helicopter to a military hospital. His office denied the president had lost consciousness, despite earlier reports that he had. "Today, late in the morning, while he was jogging in the park at the Chateau of Versailles, the president of the republic felt unwell. This episode, which came after 45 minutes of intense physical activity, was not accompanied by a loss of consciousness," the palace statement said. Temperatures reached 28 degrees Celsius (84 degrees Fahrenheit) at Versailles on Sunday afternoon. Sarkozy, an avid jogger and cyclist, was forced to interrupt his run and "lie down with the help of an aide," the statement said. A presidential doctor who is with Sarkozy at all times sounded the alert and administered initial treatment. Piotr Moszynski, a journalist who works for France's international radio service told France Info radio that he saw the French leader running with his bodyguards in the lush grounds of the Chateau de Versailles and that Sarkozy appeared sluggish. "He looked really tired and was almost dragging his feet," Moszynski said. "I said to myself 'if he wants to show off, it wasn't very effective.'" Doctors at Val de Grace conducted neurological, blood and cardiological tests as well as an electroencephalogram. Sarkozy, ever mindful of his image, received close advisers Sunday to keep up on the news and was resting, the statement said. Sarkozy, 54, was elected in 2007. He last underwent a medical examination July 3, when his cardiovascular and blood tests were normal, the Elysee's medical service said. His first medical bulletin issued shortly after his 2007 election said Sarkozy's health was "good" and compatible with his presidential duties. Since his election, Sarkozy has maintained a frenetic pace, traveling the world and performing political activities, as well as divorcing his second wife and marrying his third, the former fashion model and singer Carla Bruni. During his presidential campaign, Sarkozy pushed for greater transparency on presidential health bulletins, but his short hospital stay for a throat problem in 2007 was revealed only three months later. Previous French presidents regularly concealed their health problems from the public. The French public learned that former President Georges Pompidou had bone marrow cancer only after he died of it, while in office, on April 2, 1974. Former President Francois Mitterrand, who led France from 1981-95 and died of prostate cancer just months after leaving office, ordered his doctor to systematically falsify his health bulletins for 11 years. Former President Jacques Chirac was hospitalized for a week at Val de Grace in 2005 for a vascular problem and officials never fully explained what was wrong.